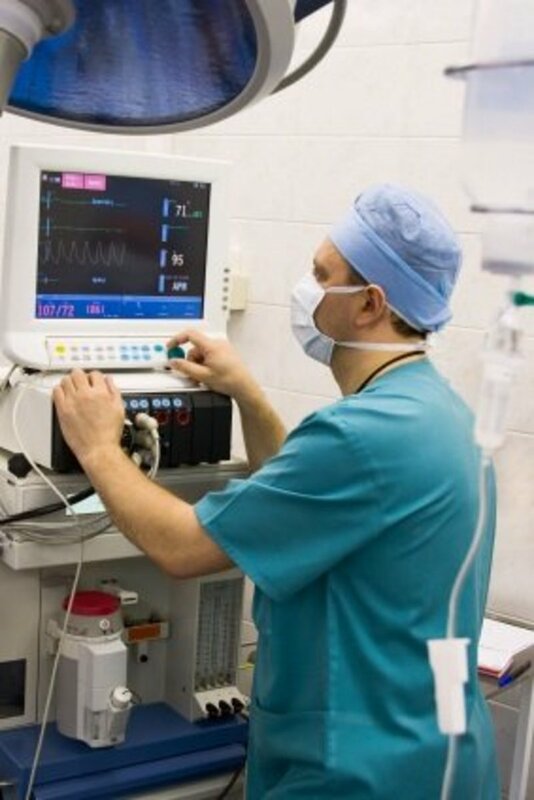 As a physician anesthesiologist, general anesthesia is the most common type I administer on a daily basis. Different types of anesthesia—general, spinal, sedation, nerve blocks, and local numbing—affect the body in different ways. In this article, the term "anesthesia" will refer to general anesthesia. During general anesthesia, a combination of medications is used to achieve unconsciousness, inability to feel pain, and immobility so the surgeon may operate. 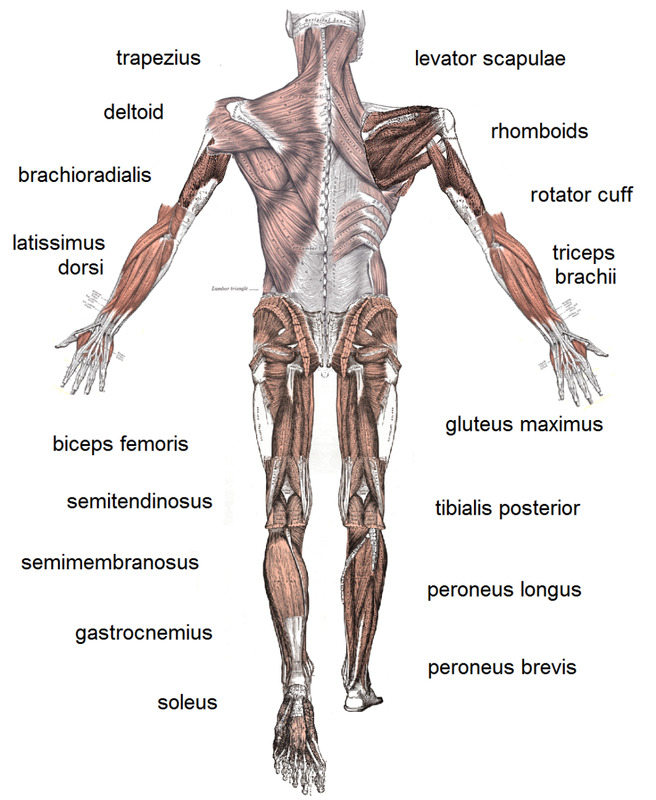 The effects on the body discussed here are the predominant, overall, and most usual effects. There are many exceptions and variables that change these outcomes. The most logical way to discuss this might be to address how anesthesia affects the body from head to toe. General anesthesia means unconsciousness is achieved and maintained. You are unable to respond to verbal or painful stimuli. Your memory for the time surrounding surgery will be interrupted. Some people suffer postoperative cognitive dysfunction, meaning they have longer-lasting effects on memory, mental functioning, or personality. This effect seems to occur with any type of anesthesia and is likely caused by a combination of anesthesia and the stress of surgery on the body. Anesthesia providers must have a more thorough understanding of each anesthesia drug and its effect on parameters such as cerebral blood flow, cerebral perfusion pressure, cerebral metabolism, and so on. What Happens to the Mouth and Throat after General Anesthesia? Throat: During a general anesthestic, a breathing tube or breathing mask is used to deliver oxygen and gas anesthesia. While we are gentle in placing this device, and it is made of soft plastic or rubber, the throat is very sensitive. You will likely have a dry, sore throat after surgery. This is usually relieved by cold beverages or lozenges and resolves in a few days. Mouth: The mouth may also feel very dry after surgery. You will receive oxygen by a face mask in the recovery room. This dry flow of oxygen makes you feel dry and thirsty. Other Concerns: One of the most common complications of general anesthesia is damage to a tooth during placement of the breathing tube. We use a special curved metal flashlight-like device to intubate. Occasionally, a tooth will be chipped or damaged in the process. This is more likely with those who have large, heavy necks, small mouths, anatomic problems with their face or jaw, or a poor overall dental condition. 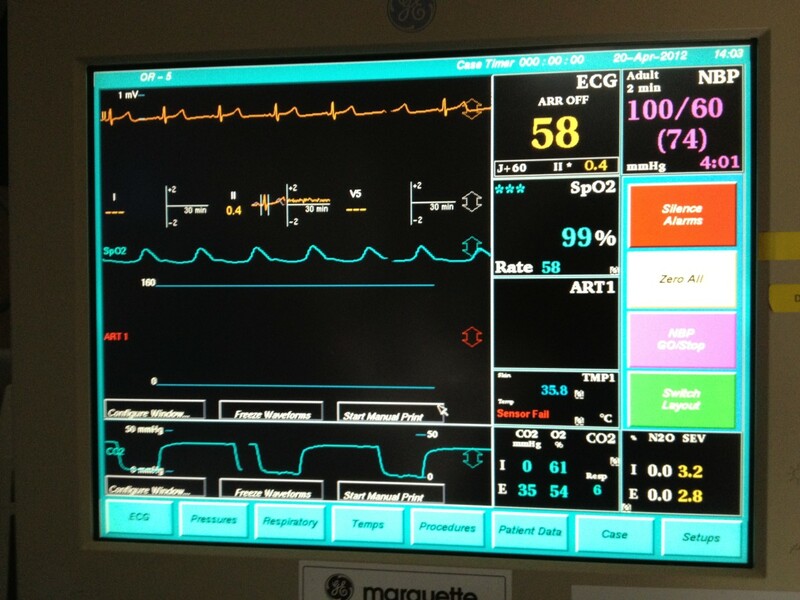 How Does Anesthesia Affect the Heart? The effects of anesthesia on the heart are varied and complex. Overall, a general anesthetic will usually decrease heart rate, blood pressure, and the strength of the heart’s pumping action. A normal heart and circulatory system will compensate quite well for this. A sick heart, however, requires much attention to the selection, dosages, and combination of anesthetic medications to avoid cardiovascular collapse. If you have a known heart disease, symptoms of heart disease, or cardiac risk factors, you should have a full evaluation by your cardiologist before undergoing elective surgery. The results of the tests should be made available to your anesthesiologist. Unfortunately, even other physicians don’t always realize the implications of heart disease on the safe delivery of anesthesia. They will try to be helpful by providing a "clearance" note, saying "patient is cleared for surgery." 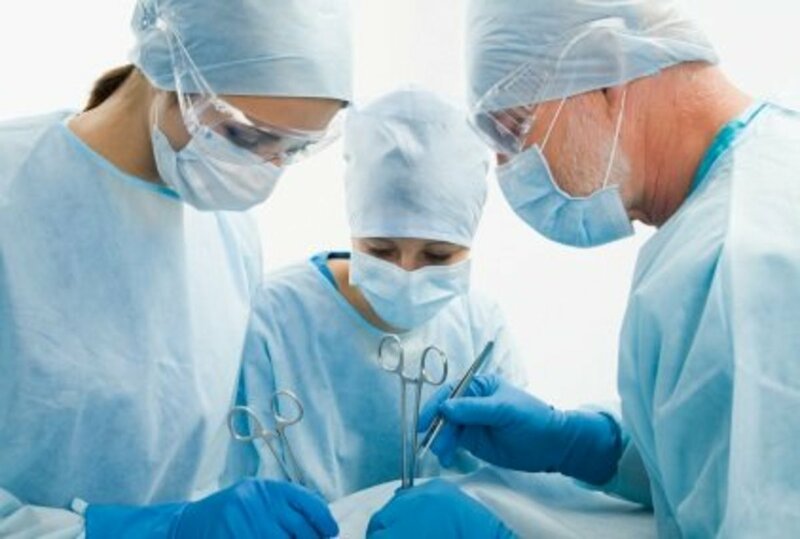 This tells us only that nothing else will be done by them before surgery; it does not provide any information we can use to tailor your anesthetic to make it as safe as possible. So, in addition to the clearance note, please request results of your EKG, echocardiogram, stress test, Holter monitor, and any other cardiac testing from the past year. Issues associated with the lungs, breathing, and oxygen delivery are often grouped as postoperative pulmonary complications (PPCs). The depth and rate of breathing are generally decreased by general anesthesia. 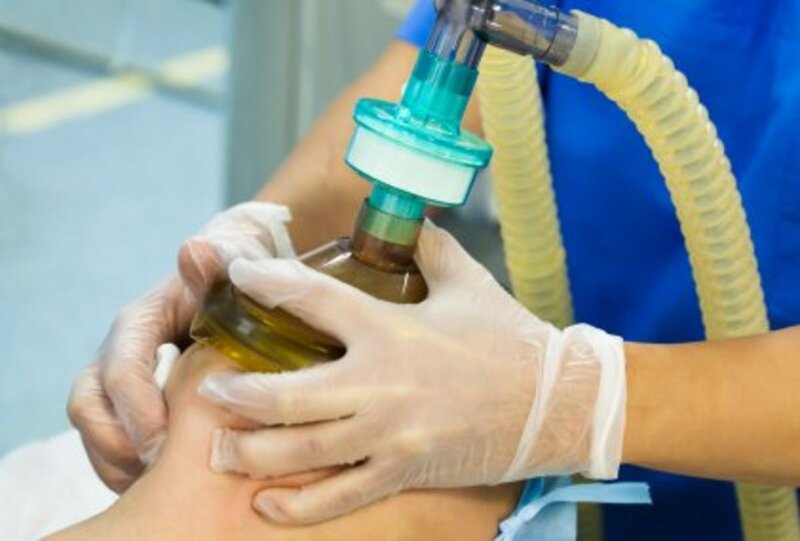 During your anesthetic, you will have a breathing tube or mask to deliver oxygen. With the tube, the ventilator (respirator) is often used to help you breathe. As you take over this critical function on your own at the end of surgery, you will be told to take deep breaths or cough to expand the airways. This is helpful in reducing the incidence of pneumonia and atelectasis—the lack of expansion of parts of the lungs. If you smoke, there is conflicting data on how helpful it is to stop at various intervals before surgery. My thought is that it is important to quit anyway, so use your surgery as the motivation to do it! Ask your doctor for nicotine patches or gum well in advance of your planned operation. Eight weeks seems to give the best chance for improving most of the risk associated with smoking. If you aren't able to quit permanently, you will gain some benefit from not smoking in the 12-18 hours prior to your operation (yes, we are aware that probably isn't going to happen when you are nervous about your surgery, but we have to recommend it anyway). Smoking, preexisting asthma, and recent airway infections increase the chances of having "reactive airways," asthma exacerbations, low oxygen levels, and pneumonia postoperatively. Patients who have obstructive sleep apnea are also more likely to have post-op pulmonary complications. Other risk factors for PPCs include advanced age, poor preoperative health, longer surgeries, more invasive surgeries, surgery of the chest and abdomen, and possibly obesity. Liver: Blood flow through the liver decreases with general anesthesia. Also, many of the medications we use are metabolized, at least in part, by the liver. Most normal livers tolerate these challenges very well. If you have hepatitis or other liver disease, you should see a gastroenterologist before surgery. If your liver isn’t working well to start with, it could get worse after an anesthetic. In some cases, liver failure has followed routine surgery and anesthesia on livers that were not healthy to start with. Kidneys: The kidneys also are susceptible to damage due to decreased blood flow. Normal kidneys will not suffer any clinical effects. 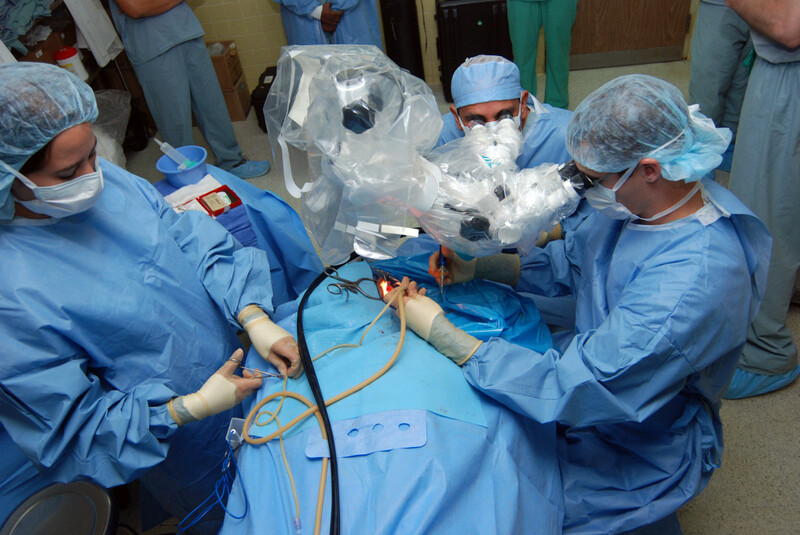 Kidneys that are functioning poorly before anesthesia and surgery may very well become worse afterwards. Bladder retention after anesthesia is very common. The bladder must contract to expel urine. Through effects on the nervous system, general anesthesia decreases these contractions, leading to urinary retention (an abnormally full bladder). Usually, this is a minor, short-lived annoyance. If not resolved, bladder retention could predispose for urinary tract infections. Why Do I Have Muscle Aches after Surgery? In order to place the breathing tube and make the operation easier for the surgeons, a medication called succinylcholine is given to relax the muscles all over the body. 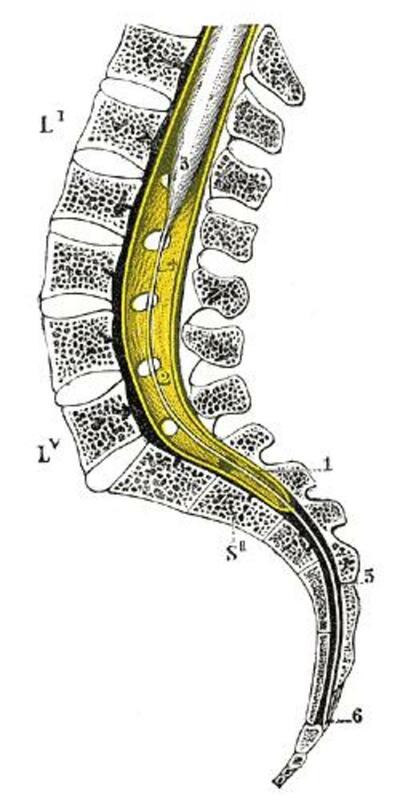 Succinylcholine causes a rapid contraction of the muscles before they relax. This all-over contraction, called “fasciculation,” can make the muscles feel sore all over for a few days after surgery. In addition, for the length of the surgery, your body is immobile. Your muscles don't contract or move as they do during normal sleep. This also contributes to the feeling of stiffness and aching after surgery. Heating pads and pain medications usually treat this effectively. Anesthesia has many more effects on the body and body systems, down to the cellular level. This has been a broad overview to help you understand the basics of the effects of anesthesia on the body. For more information on how you might feel after your anesthetic, my article Common Anesthesia Side Effects might be helpful. I've given thousands and thousands of anesthetics and have had at least five general anesthetics myself, so I can attest to the fact that while these effects seem scary, they are rarely significant for most people. Which of These Have You Had the Worst Experience with after General Anesthesia? Tracy has be been checked for pulmonary embolism? My husband just had neck surgery and is experiencing heaviness in his chest . He feels like he can't take a deep breath . He has done the breath test they give you in the hospital with great success , he wasn't fuzzy after surgery at all. Now that we are home a couple of weeks this is happening . He feels like he is losing his mind , please tell me if this is a normal reaction. He had his discs removed and rods and screws put in. Great topic and hub. I enjoyed it, although I've never been under serious Anesthetics, the one time that I did have it for wisdom teeth surgery I couldn't remember anything at all for it. And didn't even remember getting home or being home...Couldn't remember people or who they are..
Great lens! This was a great hub about anesthesia and your body. It was real interesting to read about it and know. So I wonder why I throw up after surgery from having anesthesia? I asked for GA for a "minor" surgery recently and had no problems whatsoever. I had the tube down my nose and had a sore throat but that's actually the worst of it for me. I guess I was somewhat healthy & lucky? I even threw out the scripts I was given because I had no pain and because prescription & OTC painkillers cause me more issues than any pain I'm feeling anyway such as vicious nausea, worsening the pain, doing nothing to take it away or making me sleepy. Horribly, some painkillers give me an asthmatic reaction as well so I have to just curl up in the fetal position and ride it out if I have severe pain. Lucky for me that wasn't the case with this surgery. I also just had general anesthesia. Within two days I began having anxiety and feeling panicked dr said in wasn't the anesthesia. I was told before procedure that I would have propofal . I am very healthy and having a eus. On the am of procedure at the hospital I was told I was having a sedative too because the hospital requires all patients having eus to have a breathing tube. I asked again what medication I was having and was told propofal. After the procedure I found out about being given succinylcholine,rocuronium,isoflurane and fentanyl. How can the give you such strong medicines without telling you when you ask? I recently had a hysterectomy. It took aboit 5 hours. Within 5 days I developed panic atticks, anxiety, and insomnia. The same thing happened to me 2 years ago. I have a uterine ablatuon under general anesthesia. The exact thing happened 2 days later. At firat i didnt know what was happeneing to me. After several doctors, several coctails of meds i slowly recovered with a naturopaths help bit nevwr to what i was before. All the doctors told it wasnt the anesthesia and ao i went for it again. Not that i had any options. This is not coincidence. Just had exploratory surgery and was looking for ways to get rid of the air bubbles that are causing distress.. Glad to know that they will dissipate on their own.. But wish there were ways to help it along.. I am walking around and trying to move as much as possible.. But my shoulder and ribs seem like they are in more pain than the actual surgical site! The MOST important person in the operating room is the anesthesiologist. Not only do they put you 'under', but they bring you back! Out of eleven extensive surgeries in 9 years, & over a dozen 'locals', I've only had 1 issue. Too much, but the doctor was harried & didn't listen. (Scary) Thank you Tahoedoc for your valued insight! I learn so much from your articles! Wish I had seen this information before some of the (very few) surgeries I've had; it would have helped me prepare and understand what my body would experience! Excellent article - Pinned it! Tahoe, another excellent and informative hub; UP! Excellent information! Some of it was eye opening, I feel very lucky I never had any serious side effects from anesthesia. Thanks for sharing such helpful information! 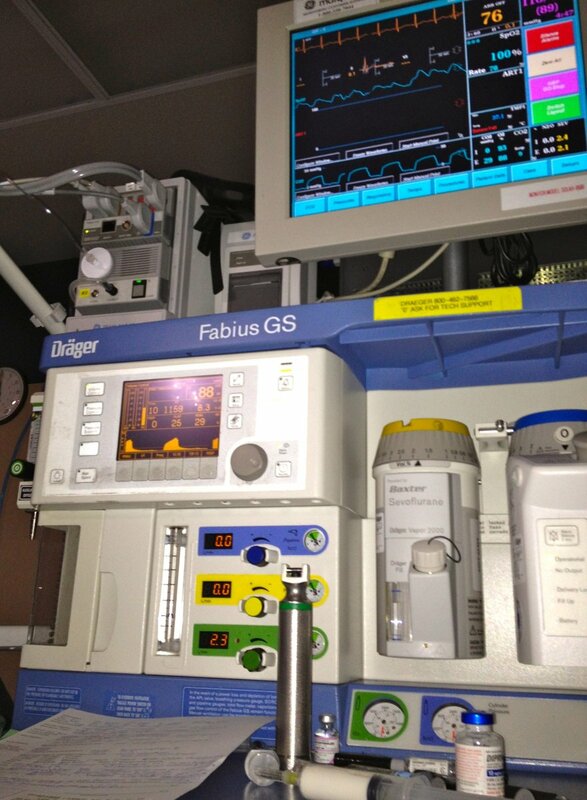 Your information on anesthesia is very thorough ~ I appreciate the details. We are lucky to have amazing doctors and anesthetics if needed, even if the thought of going under is frightening. This is a very informative and useful hub that can help answer a lot of questions for many people who may be going into surgery. I've only had surgery once years ago and thank God I didn't have any negative side effects. The way the material was presented was great. I learned a lot about anesthesia and how to write a Hub as well. less then a month since I had 6 local anaesthetic injections in my mouth and very grateful that a dental surgeon had all his years of training before administering them! Very interesting hub especially as you've got such wide experience of anaesthetics from both sides of the operating table. I agree- avoid anesthesia if you don't need it, but be very, very glad that it is so safe AND is administered by highly trained professionals (if I say so myself :) ) when you do. I've given thousands and thousands of anesthetics and have had at least 5 general anesthetics, myself, so I can attest to the fact that while these effects seem scary, they are rarely overly significant for most people. Very informative. My choice is always "when possible, avoid anesthesia", and you gave me few more reasons to stick with it. Thanks! :) voted up and useful. Thank you! I am often asked "Why do you have to be a doctor and do a 4 year residency JUST TO DO ANESTHESIA?" I think the more people learn about it, the better they understand exactly why. We don't use all of the info every day, but you never know when you are going to get that one patient with a condition that requires in-depth medical knowledge. It really does affect the whole body, although usually not with long-term consequences. this is definitely eye opening to me! I'm so glad that they have produced higher quality anesthetics, but still this is crazy! Thank you, Patty for visiting and reading. The newer anesthetics are so, so much better. It's nice to be able to discuss effects and side-effects and be able to list the most common ones as minor and not life-threatening. That wasn't always the case. OMG OMG, the ether that was administered for a tonsillectomy gave me severe postoperative cognitive dysfunction for 30 days afterwards. I was also a dazed zombie and had night terrors. A spinal gave me no side effects after ankle surgery and lidocaine for dental work had no side effects either. The newer anesthetics seem great to me.